Likewise this Spirit helps us in our weakness; for we do not know how to pray as we ought, but that very Spirit intercedes with sighs too deep for words. And God, who searches the heart, knows what is the mind of the Spirit, because the Spirit intercedes for the saints according to the will of God. I was once talking with a hospital chaplain who worked primarily with patients who were in the prison of dementia. I asked him how he prayed with these people, what he prayed for, how it all worked. Did they know what prayer was? Did they know how to ask for prayer? Did they know what was going on in their lives enough to be cognizant of the proceedings? I was a foolish seminarian at the time…and these questions proved it. Yes. God remembers for us. Lent, it seems, is a way for us as Christians to try to remember again. Remember not only that we are dust, but that we are redeemed, that we are beings that need to clean out our spiritual closets at times, that we are important and loved and necessary and that the only way to live into that reality is to take some time to reflect upon ourselves and teh giver of necessity, the God who calls us back to life. And that is the will of God, by the way. The Spirit intercedes for us in such a way that life is breathed into the dustiness of our existence. When we don’t know what to pray for, God arches our prayers toward what is life-giving. To ask the question, “What is life-giving in this situation?” is to try to tap into the mind of God. We dare not be too bold with our question, but rather seek with the mind of God. We dare not be too bold with our question, but rather seek with true discernment and humility. And it is difficult to do. It is difficult because so much in this life has taught us that what is actually deathly is full of life, and vice versa. In Holy the Firm author Annie Dillard writes, There is one church here, so I go to it. On Sunday mornings I quit the house and wander down the hill to the white frame church in the firs. On a big Sunday there might be twenty of us there; often I am the only person under sixty, and feel as though I’m on an archaeological tour of Soviet Russia. The members are of mixed denominations; the minister is a Congregationalist, and wears a white shirt. The man knows God. Once, in the middle of a long pastoral prayer of intercession for the whole world—for the gift of wisdom to its leaders, for hope and mercy to the grieving and pained, succor to the oppressed, and God’s grace to all—in the middle he stopped, and burst out, ‘Lord, we bring you these petitions every week.’ After a shocked pause, he continued reading the prayer. Because of this, I like him very much. Dillard speaks of a common experience of the faithful and the faithless alike: fatigue in prayer. Indeed, Lent itself may feel like one long life prayer (and it is). But we tire. We tire because we don’t think we’re hearing any answers. We tire because we don’t think anything is changing. We tire because we don’t think that anyone cares or knows or wants to know, let alone the Divine. We tire because, at times, we desperately want a change. And none comes. Perhaps, in those times of fatigue, we can channel the courage of this pastor, or the courage of this Psalmist, and remind God of God’s promises. The Jewish tradition does this so well; arguing with God seems to be not just normal, but expected. And that makes sense, really, because all relationships involve arguments. As we lean into Holy Week, perhaps we can start to embody a bit more of that in our prayers. God has promised to hear us as we cry out from the depths of our being; we can be bold in our prayers. Tarry not, God! We long for your peace, presence, resurrection! It is not enemies who taunt me–I could bear that; it is not adversaries who deal insolently with me–I could hide from them. But it is you, my equal, my companion, my familiar friend, with whom I kept pleasant company. 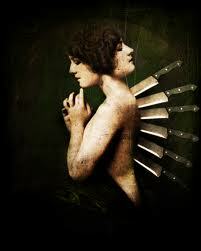 The most difficult injury to endure is the stab in the back. it is the one we do not see coming; it is the one for which we have no defense. it is the one that is usually delivered by those we least expect. Betrayal is the most difficult of insults and injuries. It is the breaching of confidence, it is cleaving the boundary of all that is sacred. Somewhere along the journey to the cross we realize that we have been guilty of betraying Jesus. We have sinned against God in thought, word, and deed…as we confess in the liturgy. We would protest and say that while we have been guilty of that against others, we have certainly not perpetrated such things against God. But God reminds us, “As you have done it..or not…to the least of my children, you have done it to me.” In other words, anything we do against anyone, any creature, anything that lives and moves and has being, we have done it to God. We are all guilty of betrayal in some form or fashion. The waves of death were all around me, the floods of destruction terrified me. The bonds of Hades were looped about me, the snares of imminent death. In my peril I cried out, “Lord!” I called for help to me God. From your palace you heard my cry; my call for help came to your ears. It is amazing how we have become hardened to death. It is literally all around us and the media makes certain that we are well aware of just how close it shadows us. So aware have we become that I think we ignore it on some counts, but then react inappropriately on others. We see death at a distance as wars rage and people drop in the streets, but we do little to try and stop it. We have a bit of pity and sadness (maybe) for those who have died, for their families, but we are not outraged at the human carnage. We learn that an Academy Award winning actor has died of a drug overdose, about his relapse into a world of addiction, and mourn the great loss to the world and the arts. But we think nothing of the 116 other drug deaths that preceded his, most of them among people twenty to twenty-five years younger. More people are outraged when they see the neighborhood cat attack and kill a bird or see a dog lying by the side of the road than they are at hearing of the death of a homeless man found under a bridge. And week after week, we go to worship and hear that a good and sinless man was put to death, that God himself was killed, and we do not experience any shock at all. God’s mercy is as welcome in times of distress as clouds of rain in time of drought. “What?” you might say when reading this passage. Sirach is not technically part of the Protestant canon of the Bible. Yet Sirach, this book of wisdom, is found in many other Biblical canons, both Roman Catholic and Orthodox, and should be held with reverence. Martin Luther himself translated all the books of the Roman Catholic canon into German, including this book, because he found the words to speak deep truth. And, really, in the middle of Lent what deeper truth might we find than this one here? In fact, I would suggest that you go ahead and cut this verse out and put it on your bathroom mirror or refrigerator, because we need to be reminded after a hard day of God’s mercy upon us and our time. Or, conversely, before we even start the day, this is a good reminder of the one who looks upon us with love. The springs of mercy that reside in us are springs that are fed by the Divine mercy of God. This is what Jesus meant, I think, when he noted in the Beatitudes that the merciful are blessed, because they shall receive mercy. The blessedness of the merciful does not come from their own understanding of the need for mercy, but because they are tapped into the flowing undercurrent of mercy that exists in this world, flowing from God. How do we tap into such mercy? I think it is by hearing and re-hearing (and then living into) the mercy that God provides for us in our day-to-day existence. 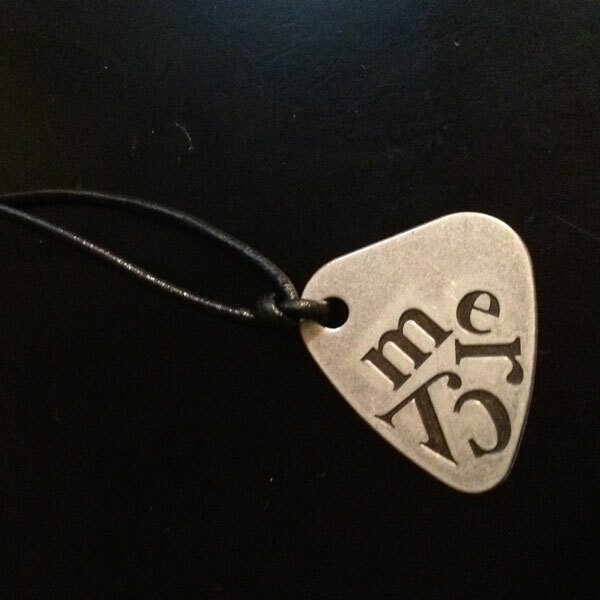 It is a mercy that comes without merit. It is a mercy that comes without condition. It is a mercy that comes from the purest love that the universe knows: the love of a creator for creation. Like rain for the life in a drought. In knowing mercy, in living in mercy, we give mercy in like manner. Do so. For some reason we have come to believe that it is not possible to speak to God as a friend, that perhaps that is too familiar. Jesus told us that he called us friends and if he calls us friends why is it not possible that God should be our friend, also? It is possible, you know, but it can only happen if we approach God in such a manner. If we approach God in far then God will appear ferocious and angry. If we approach God in guilt then God will come off as a tireless, demanding parent. If we approach God in anger and rage, the Almighty will seem a stony and silent patriarch. However, when we come to God seeking love and embrace, that is exactly what we find, what we receive. When I approach others in love and mercy, I receive the same in return. If I come attacking and accusing, then what can I expect in return but the same? If it goes back to “do unto others as you would have them do unto you,” then put on the mantle of grace and love before saying or doing anything. Come as a friend; come as one seeking to fulfill the law of love and be amazed. When we see what love God has for us, then we see that the entire person is changed. The presence of God within us and around us, the word of God on our lips, the depth of God in our souls, and the friendship of God in our eyes is enough to change anyone–even the most hardened cynic. It is enough to open our eyes to what God is doing, even in us. None of us lives for oneself, and no one dies for oneself. For if we live, we live for the Lord, and if we die, we die in the Lord; so then, whether we live or die, we are the Lord’s. For this is why Christ died and came to life, that he might be Lord of both the dead and the living. This particular passage from Romans is read at almost every funeral that I do. No greater words of comfort exist, I think. This is truly Paul at his pastoral best. In Lent we ponder the mystery of Christ’s death and resurrection as a way of preparation for our own, and yet we still approach death with fear and trepidation. This is to be expected; sister death is the great unknown in many ways. And yet, we do know some things. Like, we know that whether we live or die, we are with God. And so death, even as the particulars are a mystery, is not totally foreign to us because something remains: our life with God. The Orthodox liturgy proclaims loudly, “Christ has risen from the dead, trampling down death by death.” At the funeral of a beloved college professor, I saw these words on a banner and came to learn that the same banner had appeared at the funerals of every professor from his generation who taught theology. Even us church nerds need to be reminded of this promise. But, what might this passage of Romans mean for our lives, here and now, too? We take comfort in knowing that we die in the Lord, but what does it mean to “live in the Lord”? 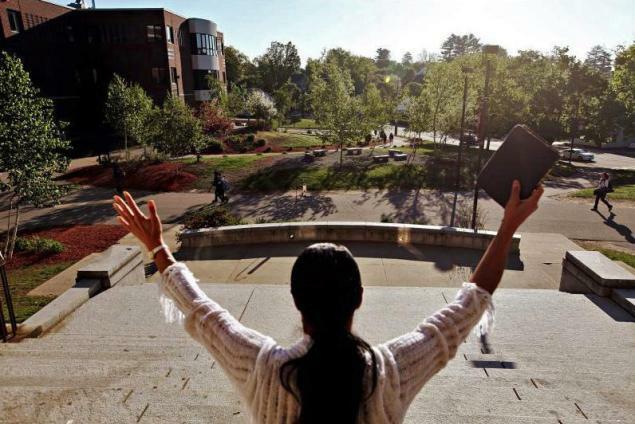 Some might take it to mean that we must all embody some sort of evangelistic fervor. But often I find that kind of fervor not just off-putting, but also so full of anxiety and urgency that it doesn’t seem to be “living” at all, but rather a sort of pacing. As if somehow urgency and anxiety over the saving of souls is what God calls us to. No; not that. But perhaps a comfort that actually exudes peace is what this passage calls us to embody. Peace that is contagious. Peace that passes all understanding, like the passage from life to death to new life. Perhaps that is what it means to live in the Lord…and that is something that I’m eager to invite others to live into, too. When the people of Israel were suffering, God set up a symbol of healing and hope. If they would look to God, they would have life in the midst of death. In the journey of Lent we can look at the daffodils poking through the thawing earth, the robins who have come home to scrounge the emerging grubs, or even just gaze at the clouds. We can even see in the eyes of the homeless poor the love of God. All are from God and all are sent to rescue us from sin, fiery serpents of despair, are the bars behind which we may be held. Look to God. Be lifted up. Job is a tortured soul. He longs to give something lasting to the world from his life, perhaps even something lasting that would or could not be misconstrued in future generations. Oh, wouldn’t we all like something inscribed with an iron chisel with lead? Well, I guess that depends on what the person is recording. Wings of hospitals, animal shelters, memorial plaques, we inscribe things with our names all the time still. And, usually, they are the things that we think say the best of us. Our hospital wing shows our commitment to human health. Our plaque on a piece of art shows our commitment to culture. But Job’s desire to have a written record of his commitments pales in comparison to the record of God’s commitment to him…which he longs for in his trials. Because for as much as our hospital wings and plaques and namesakes speak for our lives, true hope is not found there. It is not found in hospital wings or art pieces or namesakes of this sort. Those all point toward a greater hope; but they are not the hope in themselves. Even rocks dissolve over time; lead rusts. No, true hope is found in the God that, at the end of all things, stands even upon that dust and rust to speak the name of the beloved who will see God with their own flesh. Lent is a time to reorient ourselves from searching after the hospital wings, the namesakes, those marks we seek to leave upon this world to fulfill our own ego. Instead we focus on the God who bore marks to fulfill this deep truth: God is with us, even to the very end, and then one step beyond. If one part suffers, all the parts suffer with it; if one part is honored, all the parts share in its joy. If you’re a teacher and you want to cause consternation, just make the rule that the whole class will suffer consequences for one pupil’s actions. I can tell you, I’ve never gotten as many emails, calls, or requests for parent-teacher conferences as I did when those consequences went into effect. We like to talk about community, but we don’t like to live communally in a radical way. We like the idea of surrounding ourselves with others for a common experience, but that has its limits…like when one person’s experience has a bearing on our own future. Why would the early church take such a radical action? Perhaps marriage can be instructive to us, in this situation. The marriage contract is one that is so close, that is so enmeshed, that all of life, joys and sorrows, wealth and debt, are shared across the relationship. The early church, in many ways, was marrying themselves to one another. To adequately share one another’s joys and sorrows, they needed share wealth and debt also. As Jesus said, “Where our treasure is, there our hearts are also.” And the early church wanted the heart of the individual in the ministry. Lent is a good time to evaluate how our life investment is in the community to which we belong. Do we share joys and sorrows, as Saint Paul invites us to here? Or do we still see ourselves as very separate from the people around us, whether we’re in intentional community or not? In fact, if we want to get very radical, take the church out of the equation. What if you were expected to rejoice and sorrow with everyone around you? Perhaps they are the true community of faith. How would that change how you watch the evening news? 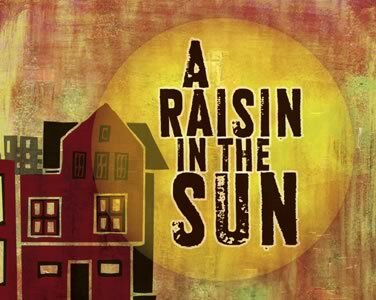 There is a very moving scene from Lorraine Hansberry’s play, “Raisin in the Sun,” in which the daughter of the family, beneatha, has written off ehr brother who was swindled out of the family inheritance. Listen carefully with your hearts. There is always something left to love. This is God’s word that comes through so beautifully in the story of Hosea and his wife Gomer. Time and again she left him and prostituted herself, but he always took her back. Time and again (you realize this is metaphorical) we run from God and God takes us back. Why? Because God sees in us what we cannot see in ourselves or even others: there is always something left to love. “Forgiveness is a strong woman, tender and earthy and direct. Since her children have left home, she has embarked on an extended walking tour, visiting ruins and old monuments, bathing in rivers and hot springs, traveling through the small towns and large pulsing cities, tracing the current of sorrow under the stories she hears. 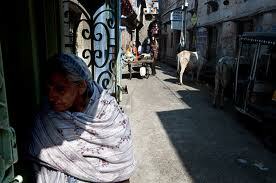 Sometimes the city authorities and officials don’t want her within their gates. If the people want her there enough, she always manages to find a way inside. Perhaps, without forgiveness, we have spiritual asthma. 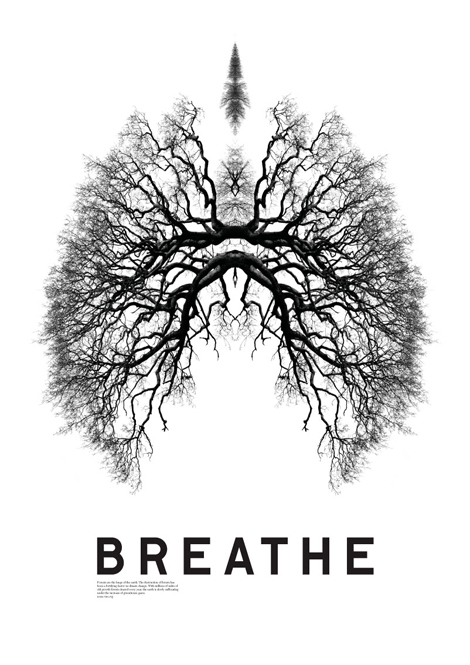 Perhaps, this Lent, we can learn to breathe again. Take care and watch yourselves closely, so as neither to forget the things that your eyes have seen nor to let them slip from your mind all the days of your life; make them known to your children and your children’s children–how once you stood before the Lord at Horeb. Have you ever been accused of having a selective memory? it’s a common human trait that we remember the good things while having a tendency to shelve that which is uncomfortable. We do it individually and we do it collectively. Personal and communal survival often depends on the ability to compartmentalize grief and pain and move on, especially when we have been the offending parties. But God is not so quick to let us off the hook and neither was God eager that Israel simply move on after that whole Horeb (Sinai) event. They had sinned and it had turned out badly for them. They had abandoned God so quickly. What God is saying to the people is that it would be a good thing to never forget how much their apostasy cost them–forty years of wandering until a generation was gone. 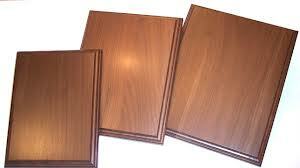 Surely God doesn’t want us to dwell on the times we have sinned, for forgiveness means that the slate is wiped clean. But just as certainly God does not want us to blow off our transgressions as one would blow dust from the mantle or the coffee table, and for two reasons. First, remembering certain events can save us from repeating them. “Live and learn the first time” is a pretty healthy motto. But secondly, and more importantly, remembering painful encounters with God can also remind us of how God, in divine goodness, stuck with us through all of it. God was telling the people, and us, never to forget how at one time they stood before God with fear and trembling, and never forget either how, in spite of it all, God still stood with them. 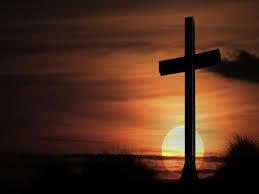 The cross is a reminder that God still stands with us. In the Gospel of John, Lazarus’ resurrection prefigures Jesus’. That is, the reader and listener is supposed to pay attention here; this is a foretaste of the resurrection feast to come. Lent leads to resurrection. I love the idea that people give up or take on things for Lent. But…there’s a problem there. If we just resume our old practices after Lent, we not a changed person at all. We are the same old person who, for a time, did something different. Do we want to be changed? The ritual of Lent is meant to help us rise well on Easter. We pay attention to Lazarus because it prefigures Jesus’ resurrection. We pay attention to Jesus resurrection because it prefigures our own. And each Easter leading up to our own resurrection we practice resurrection through ritual…or at least, we’re supposed to. And yet we too often do not because we just turn back into our old selves, happy to have the burden of taking on a new thing or giving up an old habit off of our backs. But what if ritual, practicing it and keeping it, can lead us to resurrection here and now, too? To fail to see how this story is a story of resurrection is to fail to see God in all things, I think. This resurrection story prefigures the resurrection of Mrs. Harris. And of Mandy. It is a glimpse into Jesus’ resurrection…and yours. Don’t give up those rituals…be resurrected this Easter. Be appalled, O heavens, at this, be shocked, be utterly desolate, says the Lord, for my people have committed two evils; they have forsaken me, the fountain of living waters, and hewed out cisterns for themselves, broken cisterns that can hold no water. According to the Lord, as spoken through Jeremiah, the people did two things that were absolutely evil in God’s sight. First, and foremost, they abandoned God, the one who had created and sustained them. They had forsaken the God who had always taken theirs side, who had always forgiven them, and who had always been merciful and loving to them, rascals that they are. Given their actions it would seem more appropriate that God would abandon them. No, they abandoned God. The second move they made was that they “hewed out cisterns for themselves” which is a metaphorical way of saying that they had turned to other sources of divine help that they themselves had created, sources that were flawed from the beginning. All of this is to say that they turned to other gods that they hewed out of rock or wood, human idols that would neither give sustaining grace or hold it. They left the God of Israel for idols that they manufactured, idols that would never give anything either, stick figures and stone blobs that they were. How often have we put our faith in our stuff rather than in God? If we did a personal faith inventory I’m pretty certain it would be more often that you’d like to admit, more often than I’d like to admit. One of the disciplines of Lent is to divest ourselves of the stuff that no longer serves us, the stuff that distracts us, the stuff that corrupts us and draws us from God. we may think that our stuff will comfort us and perhaps even save us, but in the end it will only weigh us down. In the end all idols fall. God does not. O Lord, do not rebuke me in anger, or discipline me. For your arrows have sunk into me, and your hand has come down on me. Sometimes we find ourselves in the same place from which the Psalmist cries. We have done something so wrong that we cannot believe it ourselves, at which time we feel so cut off from others. Sometimes we have offended God so greatly that we cannot sense God’s presence and feel totally forsaken. At other times we stray into places and situations that we knew were harmful, but did it anyway for whatever stupid reason, and suddenly we sense that we are quite alone. The pain we feel at those times reminds us of how far we have drifted from God. If we are in God’s presence we feel peace. When we are out of God’s presence we feel despair. It’s at those times that we feel we are totally lost and alone. The cross reminds us that we are never totally alone and never will be forsaken. And smell the dust of ritual. Like a snapshot in the eye of God. You cannot get over the counter. Will not happen before cocktails. When this Mass is ended. Why do you come to Christ? Why do you come to church? Do you come to learn truths distilled like whiskey (which is dangerous, you know…you always have to let the first part of whiskey go, or it will kill you). 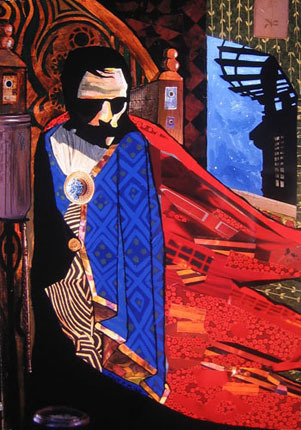 Do you come to have your veins burst with wine, or to have you ego burst with right answers? When Nathan said those words to David it was not an accolade. No, not at all. Nathan had just told David a story of treachery, deceit, and power gone mad, a story about a man who broke every commandment in one fell swoop. When David reacted by saying that such a scoundrel should die, Nathan pointed out that if he wanted to know the identity of the cad he had only look in the mirror. I’ve long come to believe that everyone needs a Nathan the Prophet in their lives. Everyone needs someone who loves them enough to tell it like it is, to lay it out in all of its ugliness, but receive no joy from doing it. I’m quite certain that Nathan got not pleasure in dropping the hammer on David. He knew very well the pain that this would cause David but Nathan, true prophet that he was, was not concerned about keeping David happy, but about upholding the righteousness of God. Let’s be honest, David knew all along that what he had done was wrong, egregiously wrong. But his ego had become bigger than his heart. He had really begun to believe that he, not God, was truly king of Israel. When our egos run amok our lives get stuck in the muck. When we believe that we are not accountable to anyone then it is possible for everyone around us to get hurt, even innocent children. David believed he was above the law and found out that he was not. While the cross of Christ is a reminder of sin, it is also a reminder that whatever the distance between us and God, God is willing to bridge the gap. That’s grace. We get distracted in these miracle passages by the miracles themselves. Remember, the miracles are not ends in and of themselves…they are merely markers, sign-posts, to the greater gift that lies beneath them. Jesus walks on water. 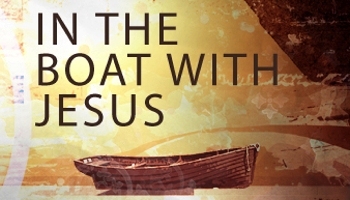 Unlike other Gospel accounts, Peter sticks to the boat this time and doesn’t get out. But the disciples are terrified, by the wind and the waves, and by the person walking toward them. What might it mean that Jesus walks to them? This is a good question, I think. We should always ponder what it means to have God come to us, to be with us. The ancients always met God with “fear”…because, when you’re in the presence of God, there is always danger. In the presence of the one who can create and destroy, we should always wonder what this visitation might mean. And yet, we know in through Christ that God does not choose to destroy, but rather comfort and create. That God chooses to accompany and lead, rather than dictate or hold back. Notice how, once Jesus got in the boat, the disciples immediately arrived at their destination. They were out on rocky seas, and here Jesus comes to meet them, assuring them that they are not to fear, and Jesus steps into the boat and immediately they are where they are supposed to be. One minute: danger. The next: arrival. Such is the way of God, bringing us back ‘round again to where we are supposed to be. The words of the prophet that precede the above verse are actually the words of the Lord. God speaks to the people of Israel in harsh words because they have run after other gods. 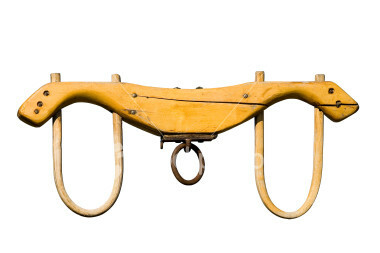 God says, “For long ago you broke your yoke and burst your bonds; and you said ‘I will not serve. '” God then goes on to refer to his beloved as a harlot, a degenerate, and a wild vine. Such flagrant sin can only be addressed in such harsh tones, addressed with words that lend one to believe that punishment is at hand…and it is. Truth be told, if any of us tried to stand before God and claim that we had been totally faithful we would be lying. We may not have taken our departures from God (we’ve all had them) to the degree that Israel did, but anytime we are disobedient we have broken the yoke. Anytime we have served other gods (materialism, consumerism, money, power, success–again, we all have) we have broken the yoke, broken free from that which was designed to keep us in the straight furrow. One of the disciplines of Lent is to examine ourselves–heart and soul. It is to take a deep look at who we are and what we’ve done, and then repent for where we’ve gone astray. That does not mean that we are to say, “I’m sorry” for at this stage God has heard that a hundred times before. Repent does not mean to say, “I’m sorry,” it means to change the direction in which we are seeking happiness. It is not offering lip service, but transformation of the heart. If we will do that, then we will discover that we have trade the yoke for a cross, the Law for the Gospel. Guilt for grace. Sin for Forgiveness of sin. Shares its evil, heart to heart. To all acknowledgment of God. To know it and hate it. Their plans neglect what is good. Seizing on all that is vile. And yet, as Lent is a time for introspection, we must admit that there are some places of wickedness within us. 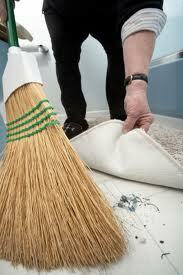 We all have that area of our inner life that hasn’t been swept out yet. As the African school prayer goes, “O thou great Chief, light a candle in my heart, that I may see what is therein, and sweep the rubbish from thy swelling place.” To admit that there are some unkempt places, some “rubbish,” even some “wickedness” somewhere within us that needs a good scrubbing can be freeing. It is not despairing; it is real. Despair only happens when we refuse to have it cleared, because then we are willfully neglecting what is good, and I dare to say, our daydreams could become evil as we stew over this perceived wrong or that one…things we have failed to give up in forgiveness. Say to them, as I live, says the Lord God, I have no pleasure in the death of the wicked, but that the wicked turn from their ways and live; turn back, turn back from your evil ways; for why will you die, O house of Israel? I think it does some good to be reminded that God has no pleasure in death. I talk to people all the time who wonder why God is afflicting them with this tragedy or that one; with this illness or that one. God is not afflicting you. God takes no pleasure in death, illness, pain…even in those who we might deem wicked. That’s a tough one to swallow, yes? Because we want to believe that somehow Divine justice in this world does look like God punishing the wicked for the deeds. This is exactly why we wonder why we have so much trouble, why God is afflicting us; we are not wicked! No. We are not. And perhaps those we deem wicked aren’t wicked either…or maybe they are. Regardless, God does not delight in the death of anyone, wicked or righteous. 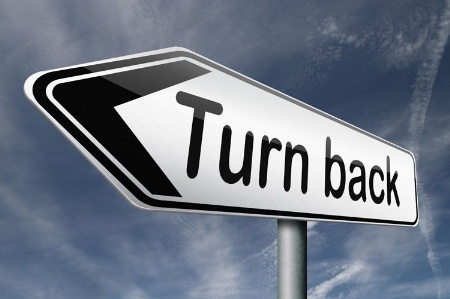 Instead, God delights in the turning around, the turning back. Sometimes I think our anger at God because we feel God is afflicting us prevents us from hearing and experiencing some true healing in those moments. We like to hold on to the notion that everything happens for a reason, and that one reason might be that God afflicts us as retribution or course correction. But usually, I find, that we mostly afflict ourselves when we blame afflictions on God, and then we’re preventing ourselves from any course correction or solace because the cause of our issue is not God; God is our defender. And we’re separated because my ego can’t let go and wrap its mind around the fact that sometimes things just happen. They just do. God desires no death; no pain. No illness. Even for the wicked. And if God doesn’t desire it for the wicked, how much more so does God desire for you to let go of the ego, of blaming God for the affliction, and turn back? Turn back to God; true comfort is found there. This Lent: what must you let go of? How are you to turn back? I invite you to ponder that for the next few days, as we skip Sundays in these devotions. Your church provides you with the readings and reflections on Sunday. But in-between now and Monday, ponder how you are to turn back? Abraham knows a foot in the door when he sees one. Fifty is a lot; even Abraham knew he couldn’t find 50 good people. But if you were God, and you had agreed to 50, what would you do if you found 45? You mean those 5 would make no difference, God? You kill 45 good people, but not 50? What’s the sense?! None at all, God agrees. Five people are too few. But if that is so, then you are beaten, God. Step by step Abraham takes the number down. God’s mistake was ever letting any number be set. Abraham’s mistake was stopping at 10. There were only four: Lot, his wife, and two daughters. They got away. Yet, think what was happening here. Think of what Abraham dared to do. Is it too much of a jump to think of such a story in our own time? The principle has to do with justice: that the innocent may not be hurt in an effort to punish evildoers. We all ran into practical difficulties with this in the classroom: because two kids messed around, everyone got extra homework. Because one kid pulled the fire alarm for a joke, we all missed recess for a week. Where was Abraham when we needed him? He makes his presence felt elsewhere. In their letter on war and peace in 1983, the U.S. Bishops said again what has been at the heart of the church’s teaching: No matter what the cause, you can’t hurt innocent people to get the guilty. Part of this Lenten journey is to be challenged by God because we do not speak up enough. Part of the Lenten journey is to gather enough courage to speak up. Too many suffer because too few stand up. Remember the poor and the oppressed. Yes…we’re returning to this one, because it’s time for a check-in. Are you just denying yourself something you love this Lent as public penance, or are you fasting? It’s a terrible weight-loss program, by the way. 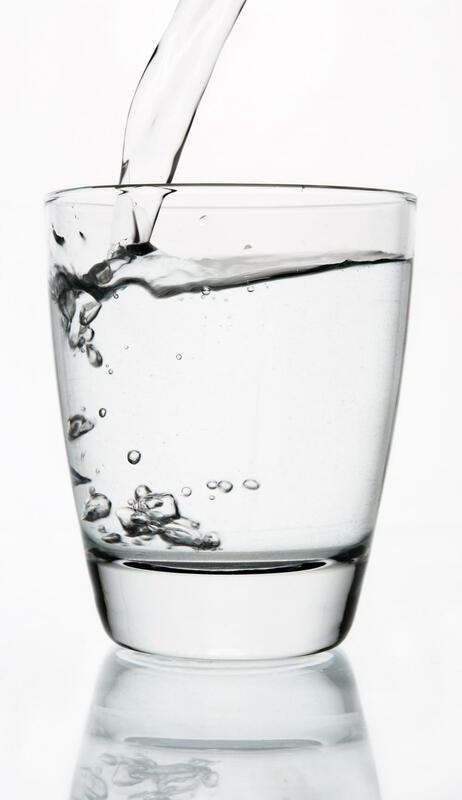 Your metabolism gets all out of whack when you fast. And a fast is not meant to last for a long time, normally. And the rules around ancient fasting usually allowed for food after the sun had gone down, much like the Ramadan fast that our Muslim brothers and sisters still practice. But in a world where hunger is easily alleviated by ordering take-out…and this is especially true here in the city…fasting can be a way to remind the body and the spirit that true hunger is not so easily alleviated. True hunger, the hunger of the whole world, is an epidemic problem of epic (and ethic) proportions. I say that it is of “ethic proportions” because the sad reality is this: there is enough food to feed the world. There is just not enough generosity. For the modern faster, fasting helps the individual to stand in solidarity with much of the world needing more generous neighbors. This attunes the spirit toward the poorer amongst us. There is, for the spiritual seeker, the other hunger, though: the hunger for God. Jesus notes that the faster should not make a show of their fast. 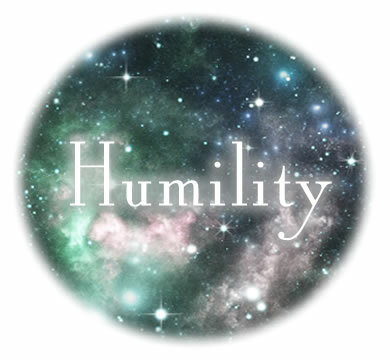 I think Jesus does so because humility is necessary when engaging in spiritual practices, not just to be humble in front of others and the self, but also to be humble toward God. The practitioner that is too convinced of their own rightness (we call this “self-righteousness”) is too full to have space for God in their lives. 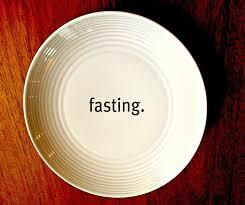 Fasting, as a spiritual discipline, can lead a practitioner to honor true hunger in a new way. Perhaps, as this is the first Thursday in Lent, you might adopt a sun-up to sun-down fast. And in those moments you normally would be eating, pray. Pray for the hunger in the world. Pray for yourself. Pray for humility in seeking after God. The call of Lent is a wake-up call. Arise from sleep! Get with it! The Lord is at hand. This is a serious journey about serious business. Too many in the world are perpetually asleep. Too much time is spent napping. 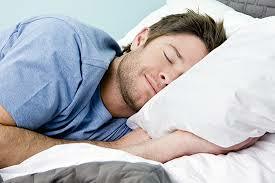 yes, sleep is necessary to refresh the body, mind, soul. yes, a nap is sometimes in order for one’s mind to clear and the eyes to perceive. However, too many people are in a constant state of somnambulism. Take a trip to the local mall and watch the throng of sleepwalkers whose hearts and minds are fixed on so many things that do not matter, so many things that will one day be good for nothing but the dumpster. I don’t worry so much about a zombie apocalypse as I do a narcoleptic one. People, wake up! When we experience spiritual laziness we begin upon a journey of days in which we come to feel that nothing is quite working out, days in which something is missing, years which pass with relatively little meaning. It’s to wake up one day and realize that we have aged far beyond our years. It is to look back and ask, as the old song says, “is that all there is?” God forbid. Wake up heart and soul! Wake up child of God! Wake up, O sleeper. Jesus first encounter with the disciple Nathanael begs the question, “What constitutes belief?” What is “belief” for you? Our post-Enlightenment minds want to say that belief is a series of mental assents, a big nod to propositions given to us to which we agree. But that is not the way the ancient people, the people of Jesus’ day, understood belief. And, for Nathanael, for us, that “greater thing” includes Jesus life, death, and resurrection. Not just one specific event; not just one tenet to mentally assent to. No. A whole story, a trajectory, a promise-filled path to lean on. 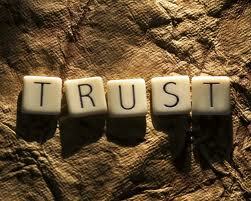 I wonder if the church has, for too long, asked people to believe instead of inviting them to trust. 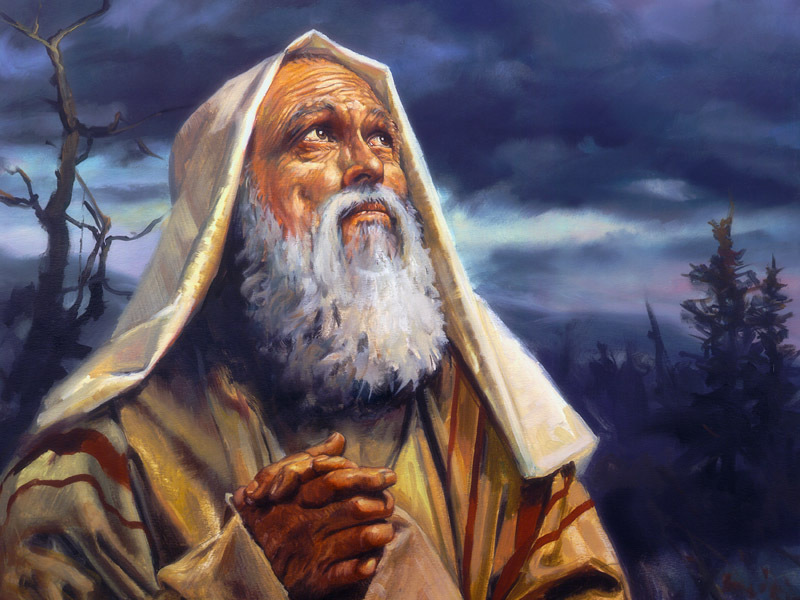 The prophet Ezekiel is not happy with what he sees. his indictment is of the “shepherds” of Israel, those in leadership who are supposed to take care of the flock, the common folk. Previously in the passage he tells them, “Should not shepherds feed the sheep? You eat the fat, you clothe yourselves with the wool, you slaughter the fatlings; but you do not feed the sheep.” It goes downhill from there. Part of the Lenten journey, part of rending our hearts, is taking a deep look into our own thoughts, words, and deeds and seeing if what we do matches up with what God would have us do. If we are going to bear the image of God, if we are going to be God’s children and Jesus’ siblings in this Kingdom Family, then we have bear the marks of the family. The family of God is supposed to do divine things and among those things are feeding sheep–human sheep, homeless sheep, poverty-stricken sheep. Caesarius of Arles in the 6th Century said it this way, “Let us fast in such a way that we lavish our lunches upon the poor, so that we may not store up in our purses what we intended to eat, but rather in the stomachs of the poor.” Let us take the items from which we fast and give them to those whose lives have fasting imposed upon them by the circumstance of their poverty. If I am not going to eat something, for whatever reason, I should give another the opportunity to have it. If we all took on fasting in this manner, then it is likely that there would never be hunger again, least of all the pangs in our hearts and souls. And Abram did. Can you imagine being confronted by a God whom you do not know and being ordered to pack up and leave everything that you have known? That is a whole lot of crazy to wrap one’s heart around! We have to remember that Abram was basically a Middle Eastern chieftain, a man who worshiped a plethora of gods, a man who at the age of seventy-five years old was doing quite well for himself. Then along comes this one God and said God makes a wild and crazy demand: Leave it all and head out, and somewhere along the way I’ll tell you to stop. Crazier still, Abram did it. 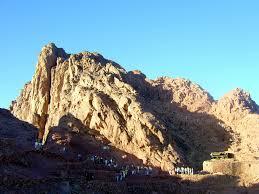 Abram went on a pilgrimage after being sent by a God whom he did not know to a place that was yet to be revealed to him. What was offered to the old tribal leader? A promise: “I will make of you a great nation.” He was promised land, more children than the stars in the sky, and a blessing. And how did that all turn out? At the time of his death he owned a field and a cave (a burial plot) and had one son that was a legitimate heir (trust me, he had more kids than he could shake a stick at, but only one “legal” one). And the blessings? More than he could count. Once again, God comes through. On Ash Wednesday we were asked to begin a journey so unlike Abram’s as to be laughable. We know the God who is calling us, we know the destination, and since we’ve all traveled this a time or two we have an idea what it’s all about. But in spite of all of that it still takes faith and a first step. Even though we’ve been here before we are never quite certain as to what we will discover along the way. The journey to the cross, while taking us to the same destination, always gets us there by new paths. If it was always the same, then we would not need faith. But each journey is designed for our growth in the Spirit and for that we need paths and an ever renewed faith. The journey is not easy, but then…it was never supposed to be. Toppers. They are everywhere! One-uppers. They are around every corner and invade every conversation. If you have a problem, they have a bigger one. If you have a sorrow, it’s nothing as bad as what they have experienced. If you have a celebration, a victory, a success well step aside “cause you ain’t seen nothing yet.” What they haven’t figured out is that no one really cares. What they haven’t learned is that it’s not about who’s got the best, or the worst because life is not a competition to be won, but an experience to be shared. it’s not about impressing others because most people are only impressed by themselves. And it’s really not about impressing God, because none of our meager attempts to satisfy God can really measure up. So what is it about, this Lenten journey and discipline? It’s simply about doing our best, trying to follow what God commands, pushing our egos down and lifting the goodness of God up. We can disfigure our faces as much as we want, extoll our sufferings, maximize the pain and burdens of our lives, but when all is placed up against the cross it comes up wanting. What’s it like to get kicked out? What’s it like to get excluded, repelled, shown the door, given the bum’s rush? I’ve never been asked to leave an establishment because of my behavior, but that doesn’t mean I haven’t suffered the pain and humiliation of rejection. We all have, all the way from not getting invited to a party to being picked last for basketball. Being the last man, woman, or child standing is not necessarily a good thing. 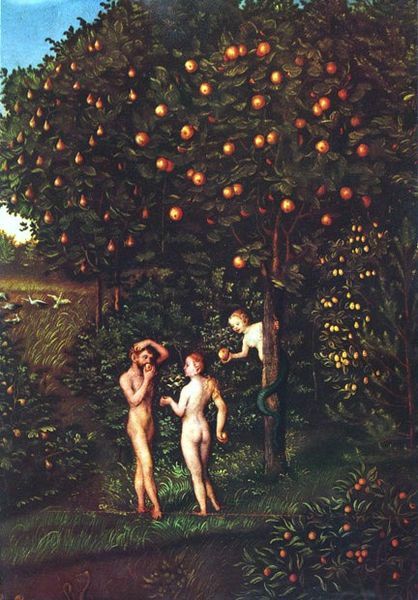 I wonder how Adam and Eve are supposed to feel in this story? The story of Genesis tells us that expulsion from the garden ushered in a new way of living, one that ended rather badly for the former inhabitants. Dixit Dominus ad Adam: De lingo quod est in medio Paradise , ne comedas: in qua hora comederis, morte morieris. But while Lent is to remind us of our dying, a dying to self, to the things of the earth, to all that would hold us from God, it is the foretaste of our rising. There is no way that God would take us through this pilgrimage only to deny us re-entry into the garden of grace.